Cultural Policies and models of finance in relation to artistic practices. 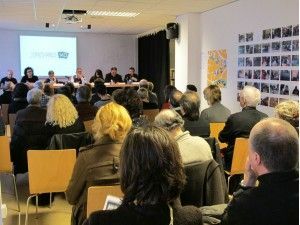 Session organised by Xarxaprod in association with ACVic in order to discuss the new scenario which, due to global economic changes, affects more localised cultural policies and funding mechanisms to carry out specific projects in the field of artistic practices within the Catalan context. 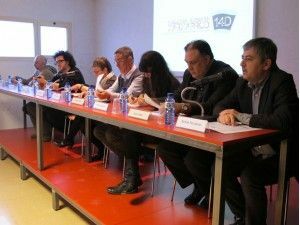 Within the framework of this conference, a debate has been organised with politically responsible parties related to various territorial authorities, who, in discussion with experts involved in the fields of cultural economy, project management and analysis of cultural context, will address issues of specific interest to members of Xarxaprod. 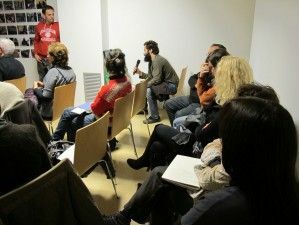 Xarxaprod is a non-profit organisation that brings together 25 members from organisations, institutions and projects providing resources, means and support to production processes in the field of contemporary artistic creation. Its function is to promote initiatives and stimulate creative projects, aiming to provide a public service. Overall Xarxaprod offers services such as space, technical and / or management resources, training, financial aid and workshops or residencies. 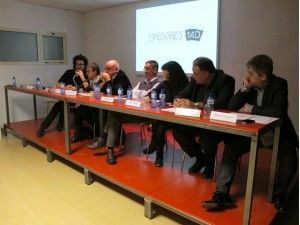 Since 2006 Xarxaprod has opted to combine strategies for the promotion of research, production, audience outreach and dissemination of artistic practices. Management is carried out by teams from many different artistic disciplines who, in many cases, perform several functions simultaneously, such as artistic practice, teaching, curating and project management. Overall there is a clear interest in promoting research as an artistic paradigm, self-managed projects, and the opening up of new locations to set the stage for cultural development, social interaction and proximity to potential users. Xarxaprod covers the whole of Catalonia, settling in a variety of locations among the capital and large cities, medium cities and small towns. The framework of relationships among members is held under the principles of the ethos of sustainability and reciprocity. 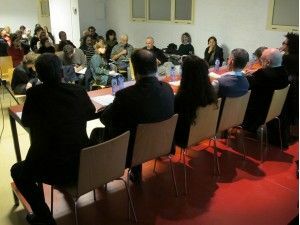 RELATION TO ARTISTIC PRACTICES which until now have been characterised by an articulation and expansion of artistic projects throughout Catalonia. But, under current circumstances it is expected that in the near future, these policies and models must be rethought in order to survive, and redefined as a public service, in order to justify themselves before a society which traditionally demands basic infrastructures, but which is much more passive and disconnected to cultural activities. Most members of Xarxaprod are attempting to ameliorate this situation , but it will be a task requiring long term commitment and the involvement of many agents. Faced with this challenge Xarxaprod's aim is to understand and analyse possible future scenarios. Questions and topics open to debate. Research, production, distribution and communication. How are the different phases of contemporary artistic production funded, or how should they be funded? How to encourage cultural consumption? For whom is it produced? Why? What will be the new social and economic paradigm which artistic practices will face in the near future? Can culture be at the core of the new services economy? Which cultural policies are promoted by our administrations? How can private contributions to artistic productions be increased? What role do cultural policies play in this new relationship between public and private funding? Joan Francesc Ainaud, subdirector general de Promoció i Cooperació Cultural. Pilar Parcerisas, Vicepresidenta del Consell Nacional de Cultura i les Arts Catalana. Carles Vicente, Gerenet deServicios de Cultura. Área de Conocimiento y Nuevas Tecnologías. Diputació de Barcelona. Goteo, Red social para cofinanciar y colaborar con proyectos creativos que fomentan el procomún. Lluis Bonet, Profesor titular de economía aplicada de la Universitat de Barcelona, especializado en gestión, política y economía de la cultura. Manuel Delgado, Profesor titular de antropología en la Universitat de Barcelona y miembro del grupo de investigación de Etnografía de los Espacios Públicos del Instituto Catalán de Antropología. Jorge Luis Marzo, Historiador del arte, comisario, escritor y profesor de la Escuela Elisava/Universitat Pompeu Fabra de Barcelona. Joan Francesc Ainaud, subdirector general of Promotion and Cultural Cooperation. Pilar Parcerisas, Vice-president Consell Nacional de Cultura i les Arts Catalana. Carles Vicente, Manager of Cultural Services. Àrea de Coneixement i Noves Tecnologies. Diputació de Barcelona. Goteo, Social Network for cofinancing and collaborating with creative projects promoting the commons. Lluis Bonet, Titular Professor of Applied Economy at Universitat de Barcelona, specialising in management, politics and economy of culture. 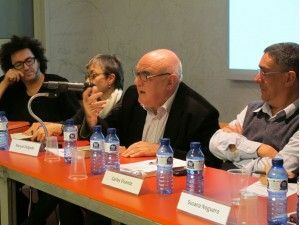 Manuel Delgado, Titular Professor of Anthropology at Universitat de Barcelona and member of the research group, Ethnography of Public Spaces at Institut Català d'Antropologia. Jorge Luis Marzo, Art historian, exhibition curator, writer and professor at Escola Elisava/Universitat Pompeu Fabra de Barcelona.